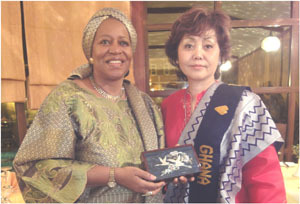 Ms. Hitomi Tokuda, Representative Director of JEPA and Friends of the United Nations Japan, has been appointed as the Honorary Consul-General of Bhutan as April 1, 2010. 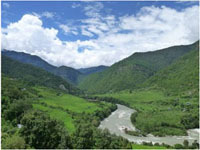 An Official Certification was handed to Ms. Tokuda by the Prime Minister of Bhutan, Hon. 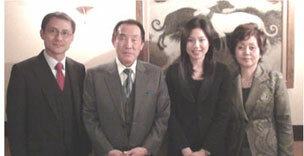 Lyonchhen Jigmi Y. Thinley on the occasion of Welcome Dinner held on April 16, 2010 in Tokyo hosted by JEPA. The policy of Bhutan as “Gross National Happiness” is a splendid way of thinking, Ms. Tokuda said, and she stated that we Japanese should follow it. 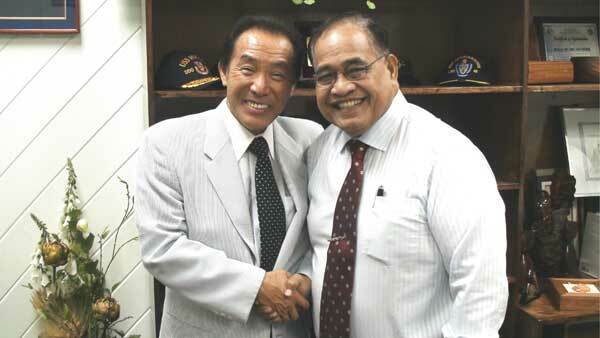 In this February, Chairman Shimoji and JEPA delegation visited Saipan to meet and talk with Governor Fitial and governmental officials of Saipan. 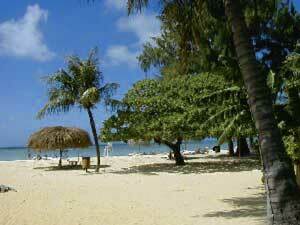 Agenda was about the possibility of the transference of Futenma US Base to Saipan or Tinian. 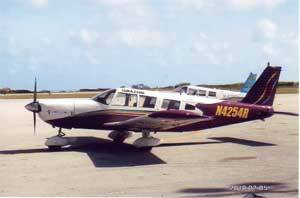 Governor stated that this would be welcomed if there was some sound out on this matter from Japanese Government and if US Government allowed. Japanese Diet representation joined the conference afterwards. 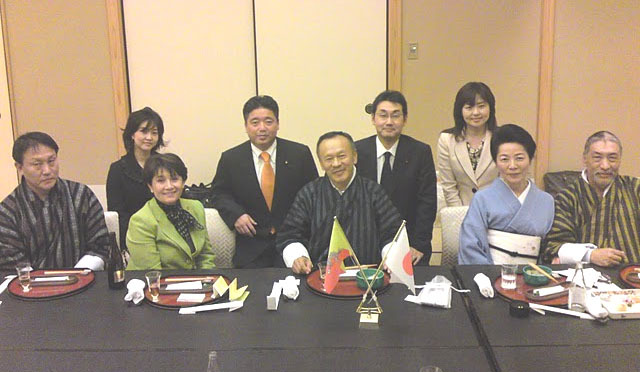 On April 16th, Welcome Dinner Party was held in Tokyo for the Prime Minister of Bhutan, Hon. 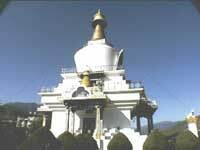 Lyonchhen Jigmi Y. Thinley hosted by JEPA. 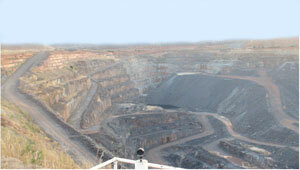 This time the prime minister visited Japan with the top of the Bhutani main company. 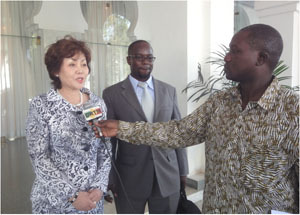 A Japanese Diet member and university professor participated, and the reception was prosperous. 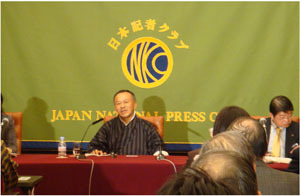 Thinley Prime Minister of Bhutan who has an interview in Japan National Press Club. The decision of a honored consul general and the honorary consul of two another names was announced in this place. Mr.Hayford and Ms.Ikegami are welcomed. 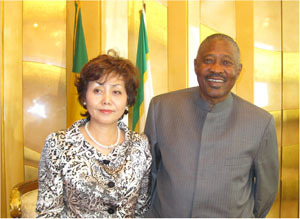 Mr. P. Hayford, Director Office of the Special Adviser on Africa, and Ms. M. Ikegame, Office of the Under-Secretary-General and Special Adviser on Africa, visited Japan in March 2010. JEPA hosted dinner to welcome these two important visitors from UN. 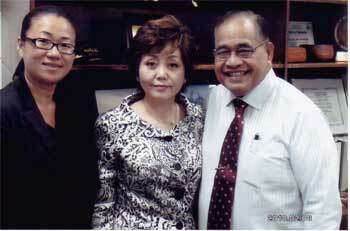 With two person in charge of HK Toa Bank. Two officials from HK Toa Bank visited JEPA Board to discuss about the Private Banking/Wealth Management in Japan. Toa Bank and JEPA have meeting periodically concerning to this agenda. 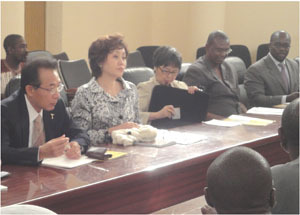 JEPA and Friends of the United Nations Japan leaded by Ms. Tokuda, Representative Director of both organization, send delegation to Ghana and Mali in Africa last December for almost two weeks. Delegation received a grand welcome in two countries and was able to meet with the top-class politics. 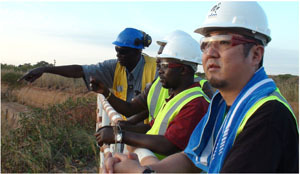 They also visited various companies and their local factories in both of countries. 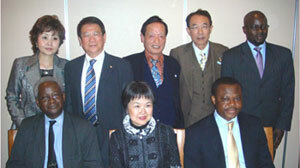 Delegation could felt strong expectation that the two countries had for Japan. 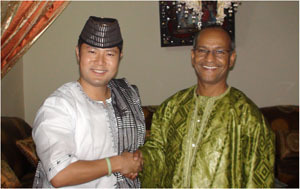 Mr.Michikawa chairman who shakes hands with agriculture and forestry Minister in Mali. 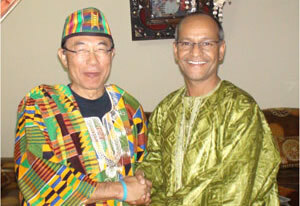 With Dr. Bennett of the African forum organizer in Ghana. 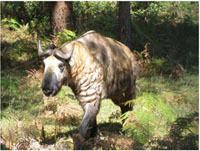 (NGO economic organization in Africa). 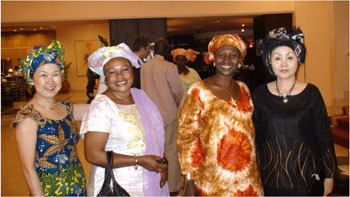 who bore Mali economy was held in Mali. that manages Issac Hayes school. 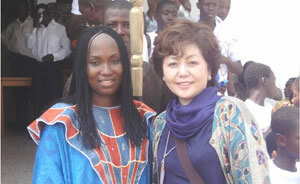 Ms. Ikegami and Ms.Tokudada that wraps in native dress of Mali. 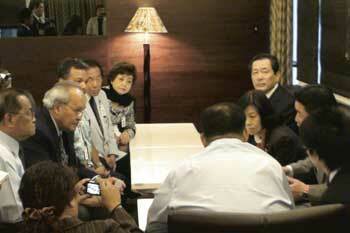 Copyright © 2010 Japan Entrepreneurs & Presidents All rights reserved.